Add a pure traditional touch to your living room by placing this rustic kilim area rug. It contains an intricate design pattern. This is woven on a handloom using wool and cotton material. You can use this carpet for wall hanging as well. Give an ethnic look to your décor and shop this beautiful kilim runner at best price from Rugs and Beyond. This is woven in wool and cotton material. It is a kilim runner. 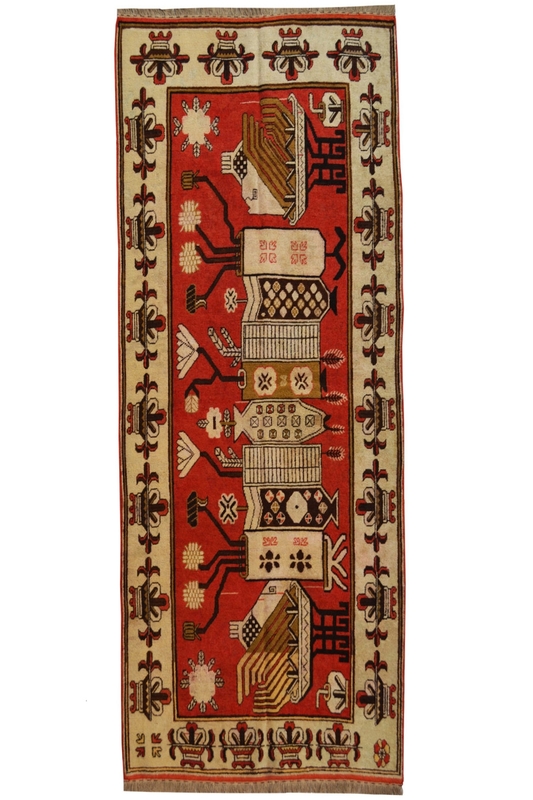 The ground of this rug contains bold motifs and design. The border of this rug contains intricate floral pot type design. This design has been inspired by nature. The ground of this rug is in rust color and rest of the carpet and design is in cream color. It is highly durable and hand washable rug.